It was back in 1997 and after years in "Big Business", that Heinrich Wegenstein, model 58, decided that it was time to follow his true passions. He combined his love for biking and travelling, to find his new goal. The Asia-Bike-Tours adventure had started. The enthusiastic echo of our clients/friends amplified our spirits not just to go on with the Rajasthan tours but also to extend our program to other parts of the Indian subcontinent. After the success at the Indian sub-continent we started to look beyond the mountains. 2005 we ventured first into China and Tibet and the positve echo here remains as good as it was - and still is - in India, Nepal and Bhutan. 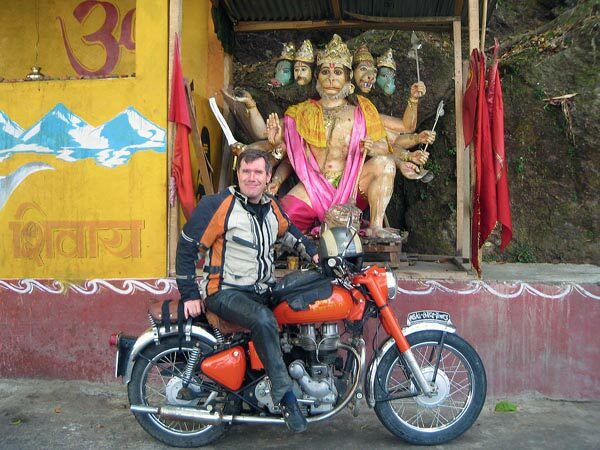 2015 - 18 years after Asia-Bike-Tours has been founded - we offer motorcycle tours in Bhutan, Burma, China, India, Kyrgyzstan, Nepal, Thailand, Tibet und Vietnam and so far it seems we succeed: around 70% of our clients/friends were on more then one tour with Asia-Bike-Tours! If you are interested, we can organize your flight, a paddle boot on the lake in Udaipur or a painted camel to cross the Thar desert or even a ride from India to Mt. 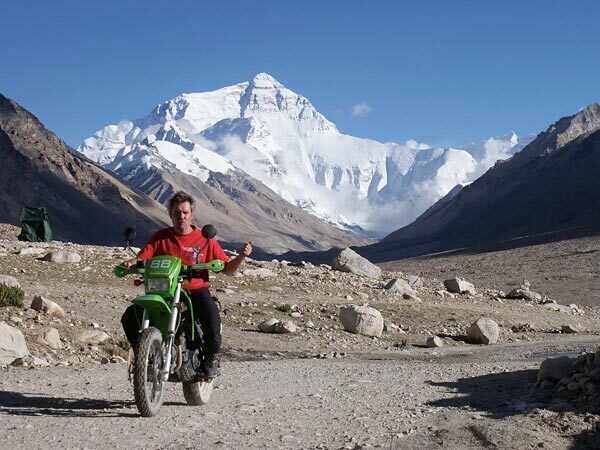 Everest on your Harley Davidson! After years in "Big Business", Heinrich Wegenstein, model 58, decided that it was time to follow his true passions. He combined his love for biking and travelling, to find his new goal. That's how the Asia-Bike-Tours adventure started in 1997. The enthusiastic echo of the clients/friends of our tours amplified our spirits not just to go on with the Rajasthan tours but also to extend our program to other parts of the Indian subcontinent and - update 2015 - to south-east asia. As long as profession remains passion, Heinrich will guide the tours. 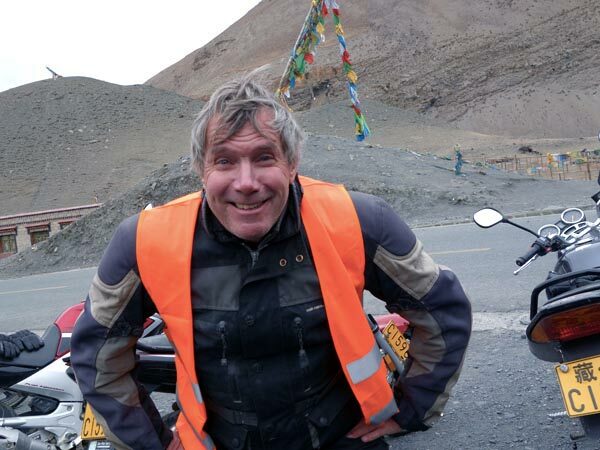 UPDATE 2010: Well, this was when I started Asia-Bike-Tours, still loving it and still guiding tours whenever possible but since it is not feasable to guide all tours, I am happy to have found a crew of marvelous guides to provide a fabulous experiences for you. Our preliminary goal remains to convey the fascination the subcontinent has to offer to our clients and friends. The youngest member of our Crew. By years as well as by the time he is with AsiaBikeTours. 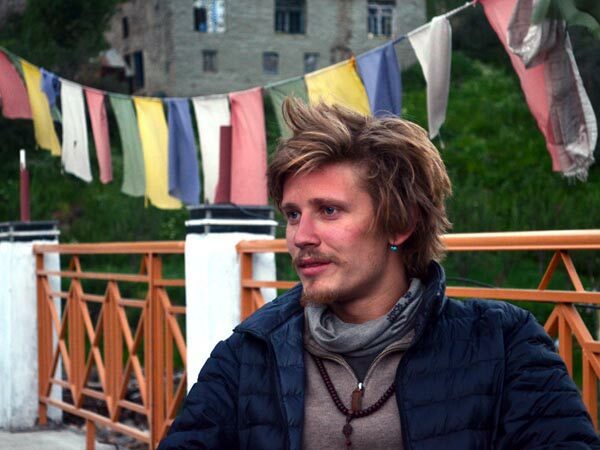 Of European parents, Benedikt Urban was born and raised in Dharamsala, India. Growing up in the local Indian community while attending a Tibetan school in a town also known as exile home of the Dalai Lama, he acquired diverse insights of Tibetan and Indian cultures and gained fluency in English, Tibetan, Hindi and German. He recently completed his Bachelor in Political Science and Economics in the United States and has been working for American universities as a coordinator for their Tibetan Studies programs in Dharamsala. Besides guiding our tours when his schedule allows he also guides special interest tours for his father. He amazed many of our friends and clients with his network of friends at monasteries here in India. Same as goes for his brother Julian, Benedikt knows more than enough about India to satisfy those who show interest. Guides tours in North India, Ladakh, Spiti and Rajasthan. Bhutanese national here with his two sons. Tenzin crossed our way when we had to cancel a Tibet tour when the borders where closed because of SARS. This resulted in our first Bhutan tour and a long friendship. Due to a scholarship for tourism in Germany and Austria Tenzin speaks German as well as English, Bhutanese, Hindi and Tibetan. He runs his own travel agency in Bhutan and he guides tours in Bhutan, Sikkim and in north India, Ladakh for us for many years now. He also lived for a few years as a monk in an monastery: another reason why he is a wealth of knowledge about Buddhism and Bhutan. Born in Mumbai, Hanif has travelled to over 36 countries and has led regular leisure tours in India, Nepal, China and Tibet for UK based tour company 'Imaginative Traveller' and in Vietnam, Cambodia, Thailand, Laos, Russia and Mongolia for Canadian based tour company 'G Adventures' for nearly 10 years. Hanif was the first non-western Indian tour leader chosen to work in China and South East Asia. 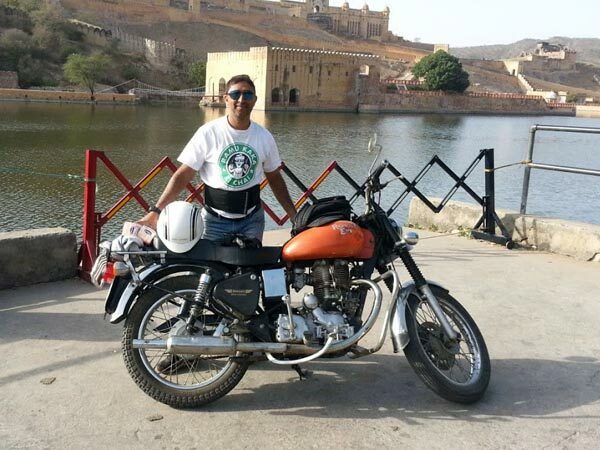 He has been riding motorbikes for the past 29 years and has owned an Enfield Bullet since 2000 on which he has travelled to most parts of India and has also led motorbiking tours in North India and South India. Hanif is an Indian but considers both India and China to be his countries as he has lived in China for more than 7 years. He knows his countries very well and is very passionate about sharing his knowledge and experiences of India and China with other travelers. He speaks English, Hindi and Conversational Chinese (Mandarin).